Much of the volcanological work carried out in north Afar (Ethiopia and Eritrea) has focused on the nature of Quaternary basaltic volcanic ranges, which have been interpreted by some as incipient oceanic ridges. However, we show here that comparable volumes of silicic magmas have been erupted in the region. In particular, the virtually undocumented Nabro Volcanic Range, which runs NNE for more than 100 km from the margin of the Danakil Depression to the Red Sea coast, has a subaerial volume of the order of 550 km3, comparable to the volume of the much better known Erta’Ale axial volcanic range. Nabro volcano itself forms part of an enigmatic double caldera structure with a neighbouring volcano, Mallahle. The twin caldera may have formed simultaneously with the eruption of between 20 and 100 km3 of ignimbrite, which is readily identified in Landsat Thematic Mapper imagery. This may have been the largest explosive eruption in north Afar, and is certain to have deposited a regionally distributed tephra layer which could in the future be located in distal sections as a stratigraphic marker. 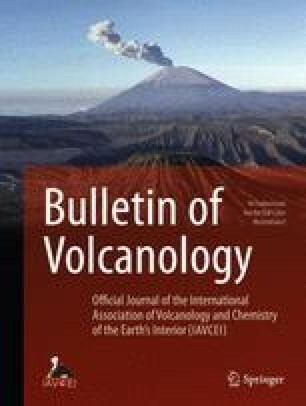 An integrated analysis of optical and synthetic aperture radar imagery, digital topographic data, field observations and limited geochemical measurements, permits here descriptions and first order inferences about the structure, stratigraphy and compositions of several major volcanoes of the Afar Triangle, and a reappraisal of their regional significance. PAMW acknowledges the UK NERC and Cambridge Philosophical Society for studentships. We thank colleagues at the Ministry of Mines in Eritrea for assistance during fieldwork, and Mike Abrams (NASA JPL) for assistance with topographic datasets. We are very grateful to the two referees (Scott Rowland and anonymous) whose constructive comments have led to substantial improvements of the original manuscript. Finally, we remember the late Jean Louis Cheminée – a pioneer of the geology of Afar – who generously provided rock samples from Ma’alalta volcano (collected in 1969).